Wide range of tradable currency pairs containing all major and minor pairs and most exotic. In this Libertex Review I am going to take a look at all the pros, cons and features of Libertex. I’ll start with some basic company information like regulatory body, broker’s liability and will continue with a trading platform review. We will also discuss mobile trading at Libertex, traceable assets, account types, spreads and costs. You will learn how to deposit or withdraw money from or to Libertex and everything you need to know about their customer service. 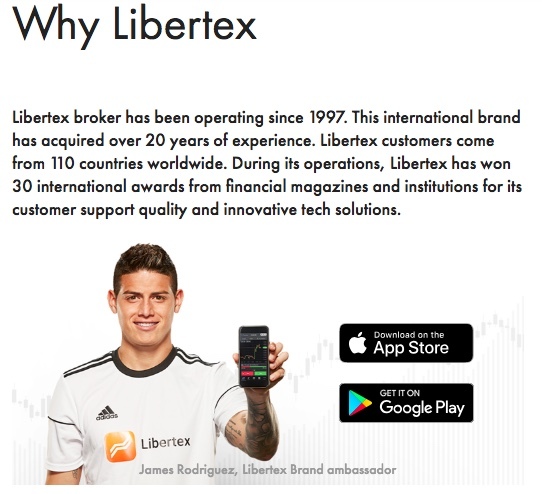 At the bottom of this Libertex Review you can find an extensive FAQ. Liberty Exchange or Libertex is a brand launched by Forex Club International Ltd. and Indications Investments Ltd. in 2015. Both companies are part of the famous Russian Forex Club Group. The Forex Club Group has had a long history since it’s launch in 1997. The offices of the group are based in Belarus, Cyprus, Russia, the Grenadines and St. Vincent. Initially the Forex Club Group operated via the Commonwealth of Independent States (CIS). 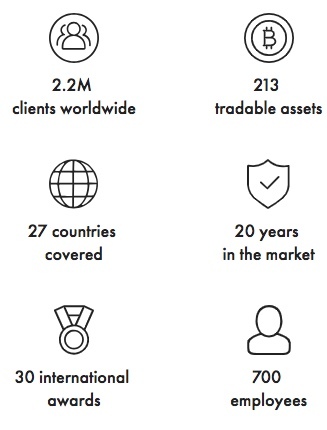 As of today, the Forex Club Group has more than 2 million clients in more than 110 different countries. 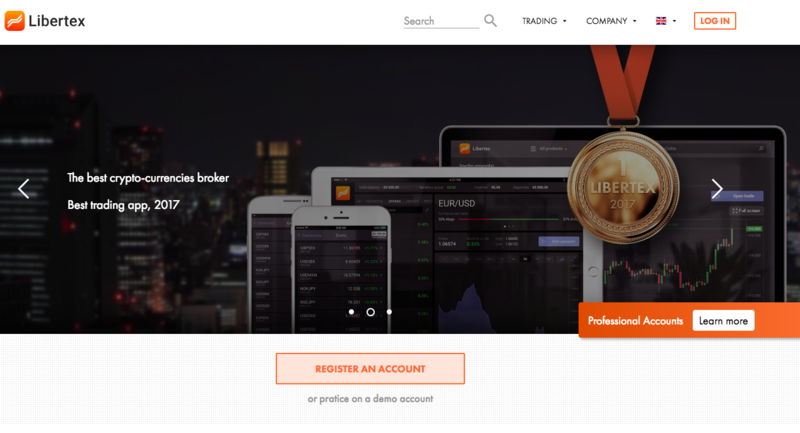 With the Libertex web-based trading platform, traders can trade different asset classes like forex pairs, precious metals, stocks, energy markets and index funds. When talking regulation, we can definitely call Libertex reliable. The trading platform is under strict regulation by the Cyprus Securities and Exchange Commission (CySEC). Libertex has a CIF license under number #164/12, issued to Indications Investments Ltd. The last two years the CySEC became stricter and stricter, which is good for retail traders. In an industry that is mostly unregulated and ‘in the cloud’, guidance and overview by the CySEC is wanted. However, apart from just being regulated by the CySEC, Libertex is also part of The Financial Commission (Finacom). 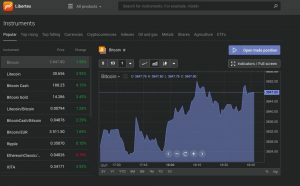 Finacom is an independent service that helps in disputes between traders and brokers. When traders have certain complaints about a broker, they can file them at Finacom. Like I said before, Libertex is a CySEC regulated broker. To become a financial services provider in Cyprus, a broker must have a significant amount of working capital. This required capital is being checked by MiFID, a regulatory body that guards over all financial service providers in the European Economic Area (EEA). In addition, Libertex is also part of the Investor Compensation Fund. This fund pays out traders up to a certain amount, in the rare case Libertex ends up bankrupt. Traders can also contact FinaCom to be compensated. The trading platform that Libertex uses, is a web-based platform. This is good news for some traders, as they don’t need to download or install any software. The trading screen and user interface of the trading platform are very easy to use. The prizes and tradable assets are shown on your left. At the right side of your screen you can filter popular stocks, Top Rising and Top Falling. The graphs can be set in different timeframes ranging from 1 minute to 30 days. Real-time news and market predictions are displayed in several feeds under the graphs. Trading with leverage is possible at Libertex. However, Libertex is very suitable for both experienced and beginning traders. Libertex offers it’s clients mobile-friendly versions of it’s trading platform. Depending on the operating system of your smartphone or tablet, you can download Libertex mobile trading apps from the Google Play Store or Apple’s App Store. 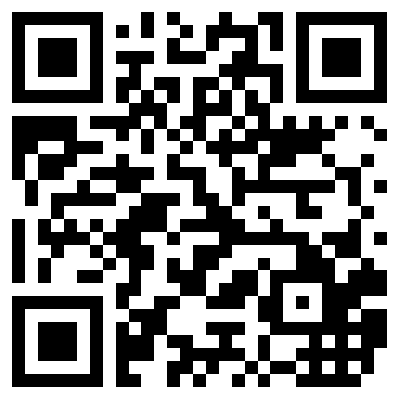 Scan the QR code below to download Libertex directly on your smartphone or tablet. Traders can trade from a selection of six different asset classes on Libertex. They can trade in forex pairs, CFDs, index funds, stocks, precious metals, commodities and cryptocurrencies. All together Libertex offers traders about 150 different assets to trade on. There are only two accounts available on Libertex. The Standard trading account and the Demo trading account. The demo account is similar to the standard trading account. It comes with a virtual balance of $50,000 and you can use it to place paper trades. Beginning traders can use the $50,000 demo account on both the web-based and mobile trading platform. To open a real money account at Libertex, one only has to deposit $10 or more. I wouldn’t personally suggest depositing only $10, but rather $50 or $100. This because most professional traders only open positions that are 10% or smaller of their entire trading balance. To open a $5 or $10 trade, it is wise to have at least $50 or $100 on your trading balance, respectively. In addition to most retail forex brokers, Libertex doesn’t charge traders large spread commissions. Instead, traders pay a so called ‘’trading fee’’. The trading fee is based on every $1000 worth of transactions. For instance, if there is a $0,05 fee on a $1000 round-traded asset, you pay $0,50 in fees on a $10,000 transaction. Note that the invested amount is including leverage. For instance, if leverage is x10, your invested amount is $100,000 instead of $10,000. In this case the trading fee would be $5,00. 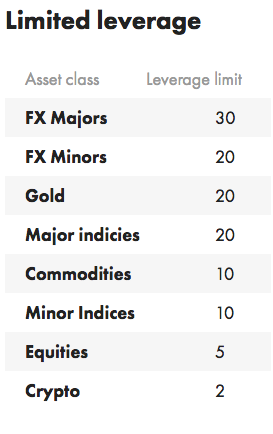 Apart from the amount invested and the used leverage, the trading fee also depends on asset class type. To get an idea how much Libertex actually charges, you can check the table of most traded instruments below. *Spreads and fees can vary according to the terms and conditions of the broker. There are a lot of ways traders can deposit or withdraw money to or from Libertex. Of course one can just deposit by credit card or wire transfer. However, Skrill, Neteller, Bitcoin and other cryptocurrencies can be used as deposit method too. Please note that Libertex does charge inactive accounts. An account is deemed inactive when one didn’t open any trades or positions in the last 180 days. When you want to withdraw money from an inactive account, 2% inactivity fee is charged by Libertex. Accounts with more than $10,000 trading balance shall never be turned inactive. Recently, forex and binary options brokers were forced to remove deposit bonuses in the EU. Therefore, Libertex doesn’t offer any deposit bonus of some sort. However, Libertex does offer new and beginning traders 50% discount on trading fees. The Libertex website is available in ten languages. For instance, in English, French, German, Dutch, Italian, Spanish and Swedish. To contact customer support, you just open a live chat sessions. This is quite unique as most online brokers have a phone number or email somewhere on their site. Libertex customer support is only available in live chat form. In other words, Libertex could improve on their customer service and support. However, Libertex does provide it’s traders good education material on their website. Libertex offers (mostly beginning traders) tips, tricks and know-how by a 30 videos counting video tutorial series. Question: Does Libertex has a license? Answer: Yes, Libertex is a broker with a license from the Cyprus Securities Exchange Commission (CySEC license number 164/12). Apart from this, Libertex is also dispute member of Finacom. Question: Where is Libertex based? Answer: Libertex is based on Gladstonos and Karaiskaki Street, off 31, Limassol 3032, Cyprus. Question: How does Libertex make money? Answer: Libertex earns money by charging it’s clients a small commission per trade executed on the Libertex trading platform. Question: How do I deposit money on my Libertex account? Answer: you can deposit simply with your credit card or by wire transfer, but also by Skrill, Neteller, Bitcoin or other cryptocurrency. Question: Hoe can I withdraw money from my Libertex account? Answer: You can withdraw money from your Libertex account only in the same way(s) you deposited money. Question: How can I open a demo or real account at Libertex? Answer: To open a trading account at Libertex, you just fill out the simple registration form and upload the required documents. Answer: Yes, Libertex is a trusted broker that is being managed by a reputable mother company since the 1997’s. 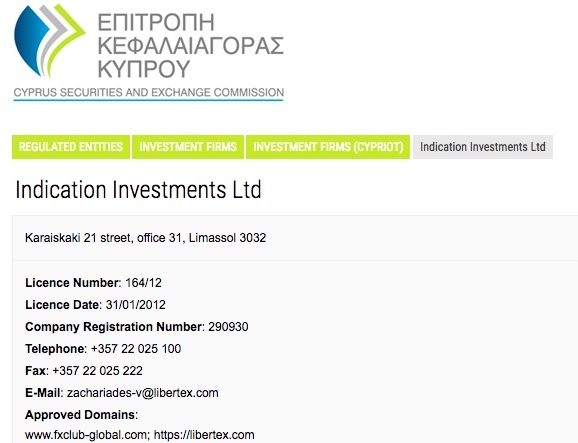 Apart from this Libertex also has a broker license from CySEC. 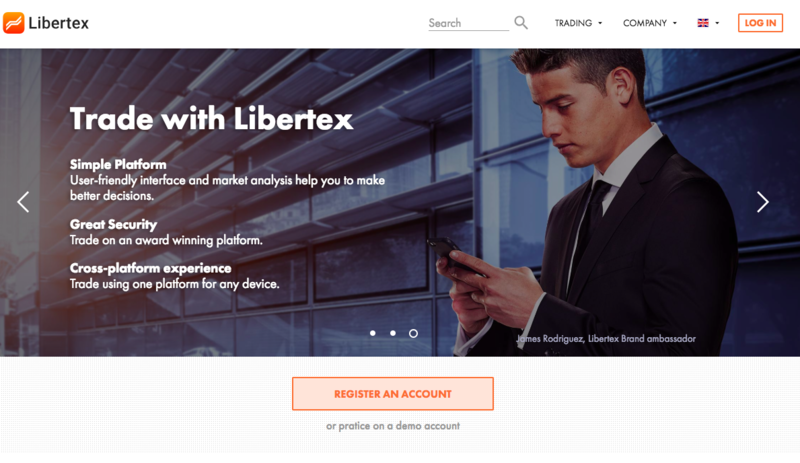 Question: Does Libertex use MetaTrader? Answer: No, Libertex doesn’t have a MetaTrader trading platform. In stead of this, Libertex offers it’s traders pc, smartphone and tablet web-based trading. Question: What is the leverage used at Libertex? Answer: The maximum leverage used is 1:30 for individual traders and 1:600 for professional traders. Question: Is Libertex a scam? Answer: No, Libertex is not a scam. Libertex is a legit broker with CySEC license that operates within the international rules. Question: Is this Libertex Review independent? Answer: Yes, this Libertex Review is independent. However, Choosebroker.com does receive affiliate and advertisement commissions. In conclusion, traders can be happy with the quality of services offered by Libertex. The trading platform is easy to use and the trading fees are outlined in a transparant way. For new or existing traders that are looking for a broker, Libertex is as an excellent choice. With a low minimum deposit required of just $10, everyone can trade at Libertex. My final verdict in this Libertex Review is a 9.2 for Libertex, as there are almost no better brokers available for retail traders.